To determine the impact of non-adherence to 5-Aminosalicylates (5-ASA) on the risk of flares and to identify risk factors of non-adherence. 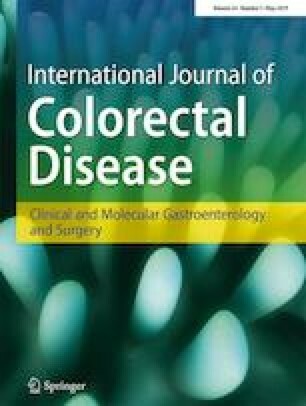 Observational, cohort study of ulcerative colitis (UC) patients in clinical remission at least 6 months on 5-ASA monotherapy maintenance prescribed by an electronic management program. Adherence was considered when 80% of the prescribed 5-ASA had been dispensed at the pharmacy. The study analyzed the existence and degree of 5-ASA adherence, disease course, UC phenotypic expression, and 5-ASA dose and regimen, and consumption of non-UC chronic drugs during 2-year follow-up. The study included 274 patients, 49% males with a median age of 38 (27–49) years old. Overall, 41% of patients were non-adherent to 5-ASA. Risk of flares was reduced in the adherent group (36% vs 54%; OR = 0,484; p = 0,004), mainly the mild ones (26% vs 38%; OR = 0,559; p = 0,031). Non-adherence was associated with younger age at diagnosis (32 (26–45) vs 41.5 (21–50), p = 0.000) and no-consumption of other chronic treatments (1.1 vs 2.1; OR = 1709; p = 0,048). Non-adherence to 5-ASA evaluated by the pharmaceutical management system was at 41% with a higher risk of relapse. Younger patients and patients who do not receive non-UC chronic treatments showed lower adherence rate. All listed authors approved the final version. M. Minguez has served as a speaker, a consultant, and advisory member for or has received research funding from MSD, Abbvie, Pfizer, Janssen, Shire Pharmaceuticals, Allergan. M.M. Bosca-Watts declares educational activities, research projects, scientific meetings, and advisory boards sponsored by MSD, Ferring, Abbvie, Janssen, and Takeda. All study participants, or their legal guardian, provided informed written consent prior to study enrollment. The study was reviewed and approved by the University Clinic Hospital of Valencia, Institutional Review Board.